The Environmental Restoration and Conservation agency invites non-governmental organizations (NGOs) and non-profit organizations (NPOs) aiming at environmental conservation to apply for The Japan Fund for Global Environment (JFGE). The application forms must be written in Japanese language. Non-Japanese organizations must ensure their eligibility through Eligibility-Quiz before beginning with application. They must have a contract with an agent (individual or organization) to apply for JFGE Grants. The Agent can be a person who has Japanese citizenship or foreigner who has permanent residence permit of Japan, possessing a bank account available for JPY (he/she does not necessarily live in Japan, but he/she must participate into the meeting with JFGE at the headquarter of ERCA); or an organization with a main office in Japan. The agent must have the participative experience to the conservation activities implemented by the applicant overseas organizations; and must be able to communicate with the applicant overseas organization by English/local language. 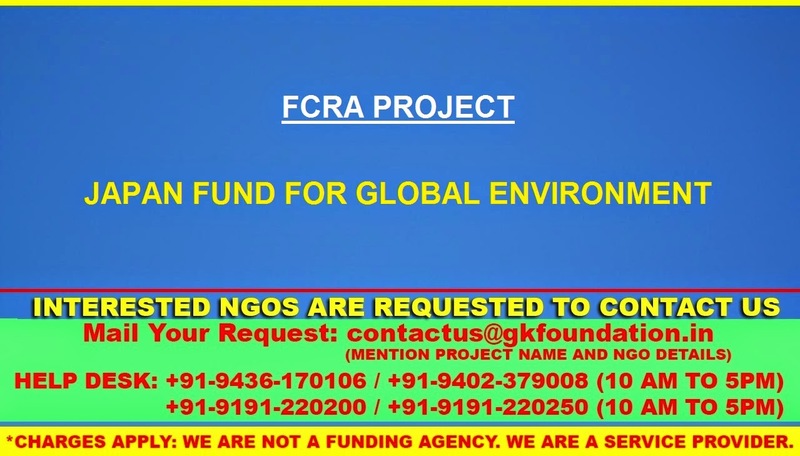 Be a non-governmental organization (NGO) and non-profit organization (NPO). Possess an Articles of Incorporation or its equivalent bylaws. Possess a well-established board of directors and work forces that make decisions for the organization and implement the activities of the proposed project. Possess an accounting structure capable of book-keeping and self-auditing. Prove that they have enough capacity to execute the proposed project by presenting the firm evidence, such as activity report of previous activities and achievements. Proposed project must be implemented in developing countries and areas. Applications must be made for conservation activities under the categories mentioned above. Applicants must assure the participation of local communities for practical activities such as a forestation, wildlife conservation, prevention of pollution, etc. Complete application materials include – completed grant request form; organization’s articles of Incorporation or equivalent bylaws; a register of members who constitute the board of directors or equivalent decision-making body of the organization; organization’s statement of accounts for the past three years; reports, photographs and other materials showing the outline of similar activities in the past three years; other background materials that provide details of the project, blank official postcard, ‘Power of Attorney’ and documents explain a relationship between a Non-Japanese organization (applicant) and agent in Japan.